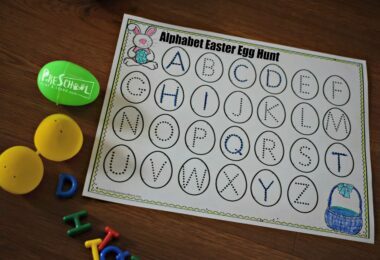 Alphabet Mats – The first step is to learn what alphabet letters look like and how to make them. 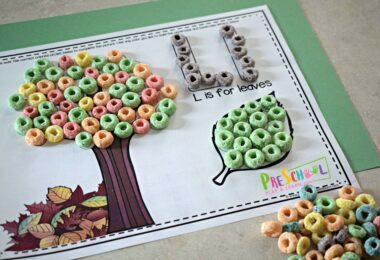 We share ways to practice with fruit loops, playdough, duplo, stickers and more! 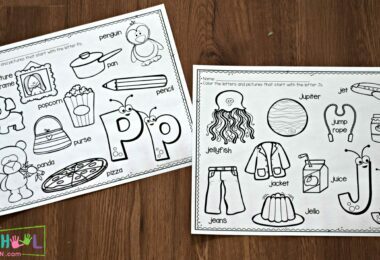 Letter Tracing – Both NO PREP alphabet worksheets and reusable Write & Wipe printables to help children practice forming their letters. 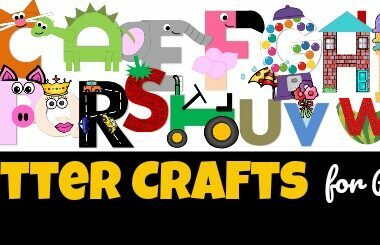 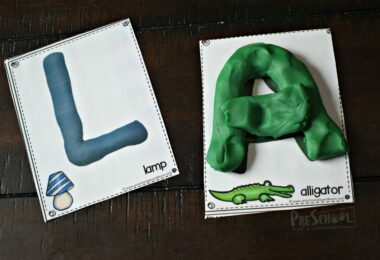 Also in this section are mas to practice forming letters with Duplo, playdough, candy, and more. 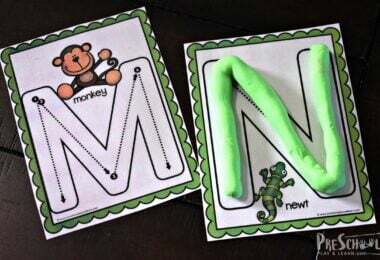 Uppercase / Lowercase Letter Matching– Early learners will have fun practicing matching uppercase and lowercase letters with these fun activities. 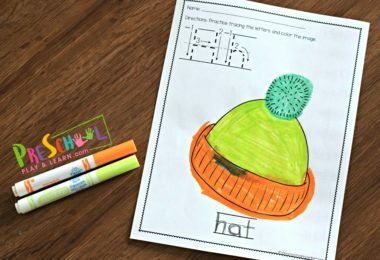 Letter Recognition – Help kids practice distinguishing letters with these fun letter recognition activities. 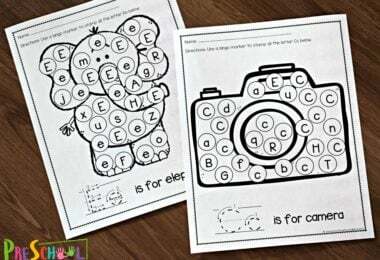 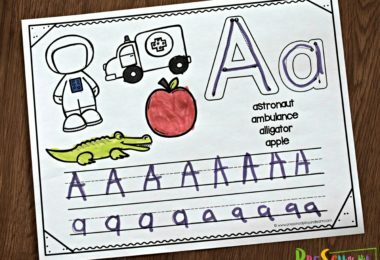 Wallcards – Kids need to be able to easily reference letters when learning how to form letters. 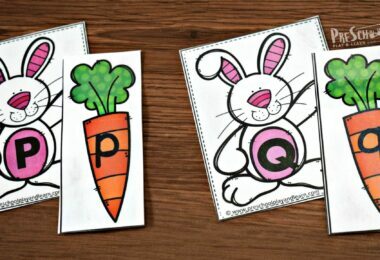 These free printable wall cards are a great tool for early learners.